[and] 'the way to the promised land is through the wilderness.'" The Hebrew name for the Book of Numbers, Sefer Bamidbar, as Avivah Zornberg observes, literally means “in the wilderness.” Yet Michael Walzer describes the journey as moving “through the wilderness.” The difference between the two is not insignificant. Walzer underscores the difference by labeling the movement through the wilderness as “marching” rather than the traditional “wandering.” For the marcher, the wilderness is nothing more than a place to pass through; for the wanderer, it is a place to roam about. Marchers move with purpose. Fixated on a particular goal, they are unaware of what they ignore, trample, or destroy enroute. Wanderers, in no hurry to get somewhere, move about with a heightened awareness of their surroundings. Marchers rarely hear anything but the stamping of their own feet, whereas wanderers often listen carefully to the sounds and silences of the wilderness. The eyes of marchers are always trained forward; the wanderer is forever looking around, discovering paths, and exploring trails that lead in unforeseen directions. I’ve been a marcher for most of my life. It is tempting, as I move into a new chapter, to rush toward a next thing. Instead, I’ve given myself permission to wander, wonder, and delight in the unexpected. The Exodus teaches that Egypt (the Hebrew is Mitzrayim, which means narrow place) exists within each of us — narrowness rooted in fear, pain, and encumbering habits. Wilderness is the antidote to narrowness. After running scared from Egypt, Moses journeys deep into wilderness (Exodus 3:1). There, he hears God, “Shal nalecha mayal raglecha,” “Remove your shoes from your feet,” or the deeper reading, “Remove the locks from your habits.” (Exodus 3:5) Moses abides, faces his fears, and returns to fulfill his destiny. Moses’ experience teaches that wilderness is not just a place to survive or pass through en route to a destination; it is an essential place to go when life calls us to transform. 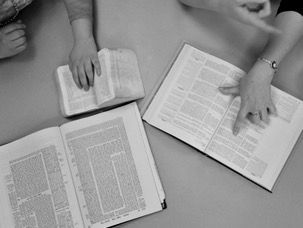 As a rabbinical student living in Israel for the year, I knew that I would be frustrated by the religious discrimination against non-Orthodox Jews. Orthodox authorities control marriages, divorces, and conversions, and even bar women from performing the national anthem at military gatherings (because of the prohibition against hearing a woman’s singing voice). And, personally, I sometimes feel uncomfortable wearing my kippah out on the street. Most Israelis do not understand that a place exists between Orthodoxy and secularism. What I did not expect, however, was how uplifted and inspired I would be to see recent changes that have happened here. In Israel, I have attended celebrations of Jewish learning and culture, which included, among other things, Torah study, comedy based on Jewish texts, and music drawn from biblical stories. Along a new path near my apartment is a cultural potpourri of artwork combining images from modern secular life with biblical quotes. And, just recently, Israeli courts ruled that Orthodox mikvaot must allow Reform and Conservative conversions. In terms of religious pluralism, we are starting to make progress. I can begin to imagine reaching the Promised Land. Lying on a gurney, I felt the room suddenly fill with a cold dread. “This time, it’s not a cyst; it’s a tumor.” In that instant, I was cast into a swirling “wilderness” of fear and a vast unknown. The uncertainties multiplied after that initial diagnosis. The prospect of suffering loomed large, as did the worry about loss: time, capacity, my body (as I knew it), my family, my life. The metaphor of “journey” in reference to a cancer experience has become trite. Yet, I had embarked on a long, daunting process — and to what destination — remission? That was largely beyond my control. The “land” I discovered, remarkably, was myself. When I connected to a calm(ish)-centered core and trusted my better instincts, I found I could cope. With such difficult treatment ahead, when I focused only on the next few steps, I could get through each day. When I was stuck on the couch for months, sidelined and feeling so alone, it helped to pick up the phone and connect. Awake in the night, overwhelmed by a wrenching sadness at the thought of dying and leaving behind my daughters, I remembered to breathe, I’d pick up a crossword puzzle and those crushing feelings would ease. I’m lucky to have passed through this particular “wilderness.” I’m cancer-free. But, in living, no doubt, there will be other excursions through the terrain of fear and uncertainty. How reassuring to have a tested map in my back pocket. Gail Twersky Reimer is the founder and recently retired executive director of the Jewish Women’s Archive (JWA.org). She is co-editor, with Judith A. Kates, of two anthologies of Jewish women’s writings — Reading Ruth: Contemporary Women Reclaim a Sacred Story and Beginning Anew: A Woman’s Companion to the High Holy Days. She is currently enjoying writing and wandering. 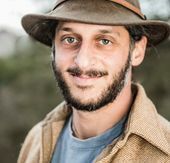 Zelig Golden is founding director of Wilderness Torah (wildernesstorah.org), which awakens and celebrates Judaism’s earth-based traditions through land-based festivals, nature-based youth education, and rites of passage. Leora Kling Perkins is a rabbinical student at the Jewish Theological Seminary. She is spending this year in Israel studying and serving as a rabbinic fellow at Tru’ah: The Rabbinic Call for Human Rights (truah.org). Sharna Cohen lives in Toronto and finds meaning in coordinating a free, walk-in counseling service and in supporting people through infertility, as well as through a number of volunteer endeavors.